Vermilion Bay is for Sail! The fourth race of the Rosemary Lucas Cup will be held on Saturday April 27, 2019. Come race your boat or crew with another member! Welcome to the Cypremort Yacht Club! 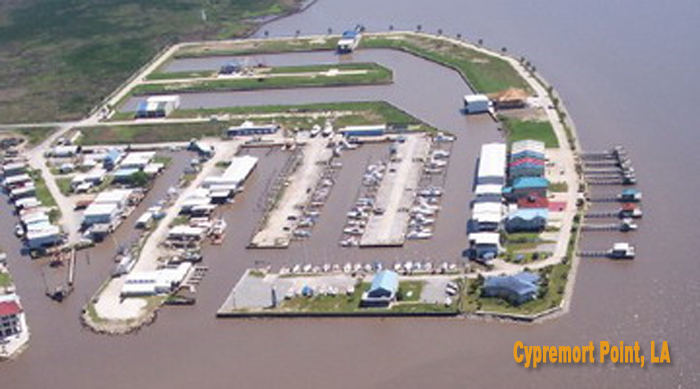 Welcome to the Cypremort Yacht Club, a small but active club nestled on Vermilion Bay in South Louisiana. Our clubhouse faces west into Vermilion Bay, so sunset watching from our balcony is a favorite activity. Membership is inexpensive, and gives you full use of all club facilities. We have several "dry slips" on site, as well as wet slips with water and electricity, and a private ramp for members' use only. No fighting crowds! Socials are held monthly, and are inexpensive (usually $10 per person, sometimes less). See? The Cypremort Yacht Club is the best-kept secret in Acadiana!